We work and live in dozens of communities that depend on the forest for their economic and social viability. In this blog series, Resolute’s Forest Families, we are profiling families with a long history in the forest products industry – employees, suppliers, contractors and neighbors of Resolute – and asking them to share their stories of managing the resources in their care. 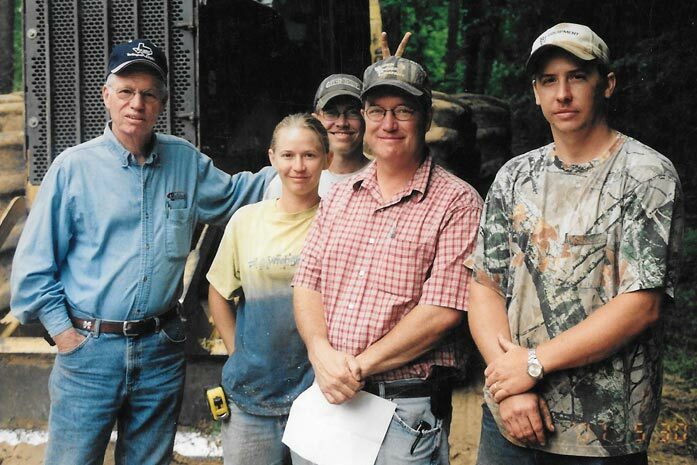 In this installment we meet the Dismukes family, founders of Vaiden Timber Company LLC, timber buyers and certified professional loggers, who have been selling pine pulpwood to our Grenada newsprint mill in Mississippi since the early 1980s. Brian Dismukes speaks proudly of his family roots in the forest products business, quickly pointing out that his parents Charles and Carolyn Dismukes were recognized as “Tree Farmer of the Year” in 2011 by the Mississippi Forestry Association (MFA). The MFA Tree Farmer program is committed to sustaining forests, watersheds and healthy habitats through the power of private stewardship. Brian’s grandfather started the Vaiden Timber Company in 1969 in Vaiden, Mississippi. Brian and his brother Barry took over the family business when his father Charles retired in 2004. Today, Vaiden is certified through the Sustainable Forestry Initiative® (SFI®) and the MS Professional Logging Manager Program. The company has nine direct employees and one of its own logging crews; it contracts with two other firms, who have a combined crew of almost 20 members.